An employment tribunal has held that Uber’s drivers are workers. HMRC is investigating the work structure of Hermes, the delivery company. Four bicycle couriers have also issued claims against City Sprint, Addison Lee and eCourier – we await that hearing. Finally, Deliveroo’s couriers have asked for union recognition on the basis that they are not self-employed. As this linked article on Personnel Today explains, the rules as to employment status are similar for tax as for employment law purposes. However, for tax purposes HMRC make the first determination, for employment law purposes it’s an employment tribunal, and they are not bound by the others’ decisions. It is possible that Uber drivers may end up paying more tax if they are defined as employees for tax purposes. So we thought it would be helpful to briefly set out the various statuses and rights involved in these disputes. There are three principal statuses: self-employed, employed, and worker. The worker is a more recent addition and falls between the other two, both in nature and rights. The employment tribunal ruled that Uber’s drivers are workers when their Uber app is open and they are in the relevant geographical territory. 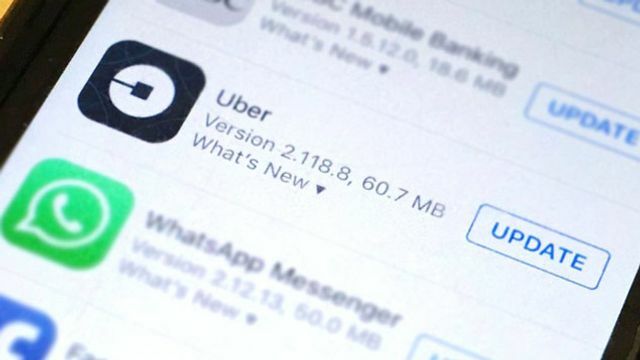 To find that they were self-employed would have required that they work independently of Uber – Employment Judge Snelson ruled that it was “faintly ridiculous” to think of the drivers as a mosaic of 30,000 small businesses connected by a technological platform. The tribunal did not find that the drivers were employed. It did not expressly rule against that either, but it seems the claimants accepted that not to be the case. The drivers can turn their app on and off when they wish; when turned on, there is pressure to accept rides (so the tribunal held), but they are not obliged to turn the app on. Does that mean that everyone working in the “gig economy” is a worker? Certainly not. The employment tribunal’s statements about employment law were not surprising. What was more interesting was the description of how the Uber system worked – for example, that its driver rating system is used by Uber for performance management purposes. Uber’s system conflicted with self-employed status. That does not mean you can’t operate a similar technology platform without engaging providers as workers. From another perspective, Uber argued it was a technology company, but the judge found that it strove to be the best at providing private hire cars. It could not provide that service without significant control over the drivers. The answer will always depend on the actual facts, not on the terms used by the parties. Self-employed workers don’t have employment rights. However, discrimination law sometimes applies, and they have health and safety obligations. Workers benefit from minimum wage law, working time rights such as paid holiday and rights relating to whistleblowing and union activities. Employees can bring unfair dismissal claims. If you require further advice on these issues, you may wish to join our community; on elXtr where we have guides on national minimum wage and on employment status. You're on our blog and updates site, which is hosted by elXtr, a leading digital hub powered by the award-winning lawyers at LHS Solicitors LLP. Bringing you real law, made easy. Law for the online generation starts here. even if the employment tribunal had concluded that the drivers were not employees (and it did not go so far as to expressly state this), that would not prevent HMRC from reaching a different conclusion as far as tax is concerned. So, what are the risks for the drivers and Uber if HMRC decides that the drivers are employees for tax purposes?